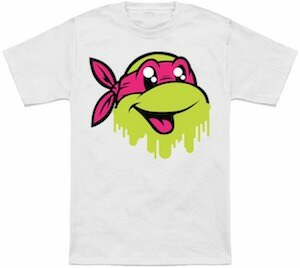 Now there is a TMNT t-shirt that shows Raph and he seems to be melting as ice cream. 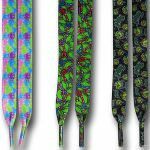 This Teenage Mutant Ninja Turtles is available in many styles, sizes, and colors for men, women, and kids. On the t-shirt you can see a really happy face of Raphael and the bottom seems to be gone already and it looks like his face is melting away just like ice cream would. And that melting look makes this a great looking Ninja Turtle t-shirt so if you like the green turtles then this could be the t-shirt you want to wear.